Julie works with adults, couples and children (ages 3-10). I try to ensure my clients feel seen and heard, that I create a hopeful, holding space for them to delve into the concerns that led them to counselling. Being Client-Centred I want to ensure they experience a permissive, non-judgemental and empathic space (a safe base) where insights can arise and difficult issues can be unpacked and explored. I work from a relational framework. For me, rapport and connection are crucial in creating safety and containment. I use an Attachment-informed and Client-Centred approach. Psycho-education, Mindfulness and other Self-Regulatory tools are also incorporated into my work. Julie studied at the University of Notre Dame, perusing a Bachelor of Counselling. After successfully completing her degree, Julie went on to study Artistic Therapies at Sophia College, a college dedicated to providing a holistic approach to spiritual, emotional and physical well being. 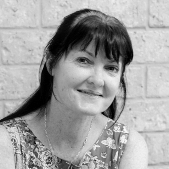 During her time at Play Therapy Australia, Julie completed a Certificate in Play Therapy and Advanced Clinical Training in Play Therapy. To find a psychologist or to book a counselling appointment with Julie Watts, contact us today.